Having provided our client with PCB layout services for a new design, FBM followed up in managing small manufacturing and assembly runs of the product during the extended Beta trial phase. The overhead of component procurement and build scheduling was removed from the client during this development phase, allowing their engineers to focus on essential debug and product stability. 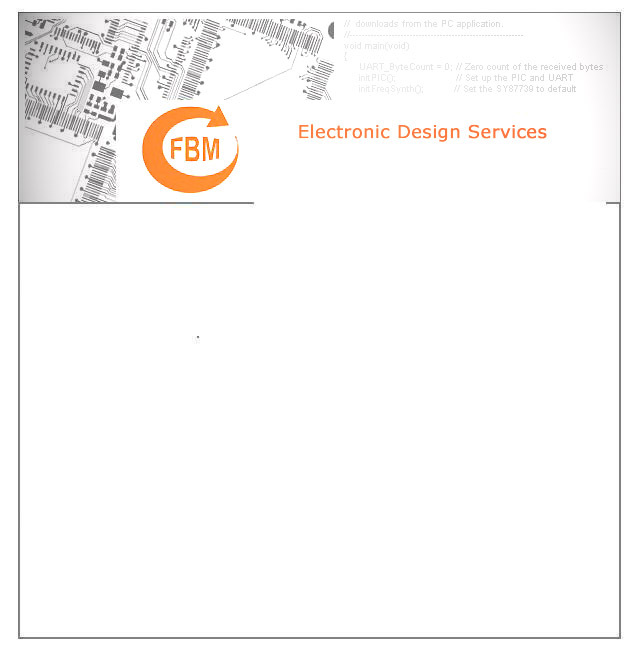 Often a drain on a client's engineering time, FBM can handle project-related or stand-alone user documentation, manuals and web content development. This website was developed in-house, and further examples of our technical communications work is available on request.